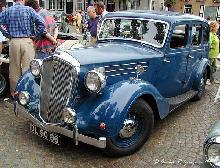 One of Britains earliest car producers, Wolseley, actually started off in Engineering, producing sheep-shearing equipment! 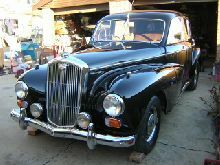 For many years it was run by none other than Herbert Austin who went on to form his own highly successful motor business. 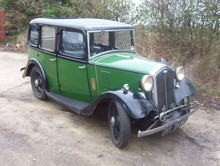 By 1901 Wolseley had become part of Vickers, however it was sold again in 1927 to Austin rival, William Morris. 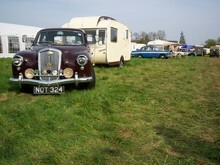 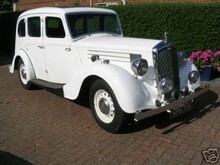 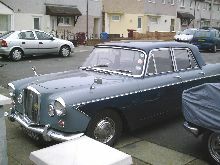 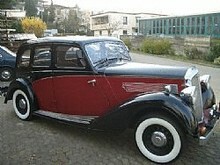 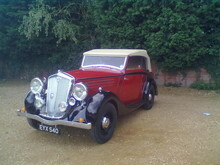 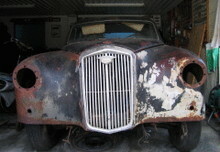 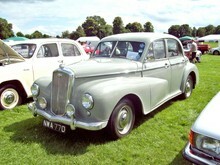 Early Wolseley cars had been elegant luxury models competing with Napier, Rolls-Royce and Daimler. 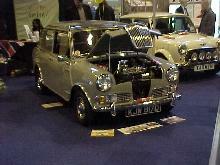 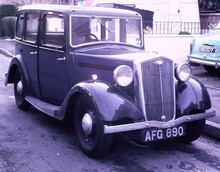 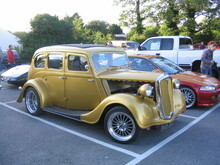 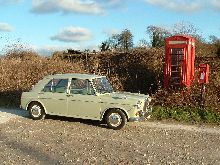 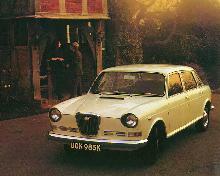 Following the Morris take-over the models from Wolseley were based on modified Morris chassis, although they soon gained a loyal following from Britains middle classes and the Police. 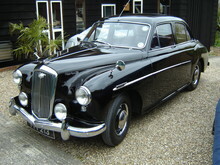 By the mid-1950's Wolseley found itself as part of the BMC organisation, its name gracing the upper models of the BMC range. 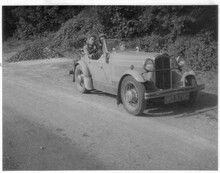 Like MG and Riley the Wolseley brand identity was remained intact, wood and leather interiors and the famous Wolseley "illuminated grille badge". 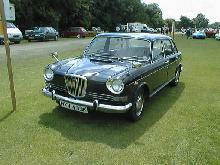 The Wolseley name continued under the control of British Leyland until 1975 when it was finally laid to rest. 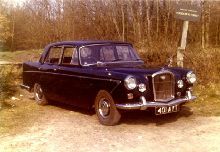 For the ten years from 1896 while Wolseley was experimenting with, and then producing motorcars, there was one man who drove the whole enterprise forward: Herbert Austin. 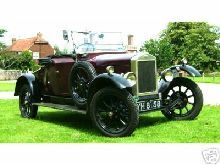 In 1899 he devised a four-wheeled voiturette with a front-mounted horizontal single-cylinder engine and the design was put into production at the Adderley Park factory in Birmingham from 1901. 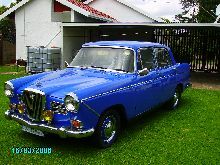 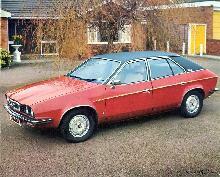 Two and four-cylinder cars, also with horizontal engines, were soon added to the range. 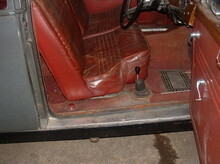 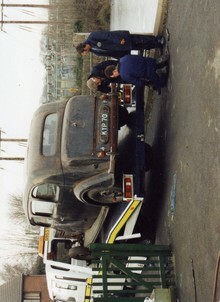 With their tubular radiators wrapped around the bonnet Wolseleys were immediately recognisable, and the cars rapidly earned a reputation for reliability and durability. 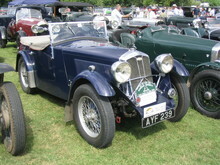 From 1902 until 1905 Austin made special Wolseley racing cars that because of their low build and sleek lines were called 'Beetles'. 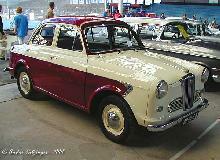 They competed in major continental races but suffered many misfortunes and disappointing results. 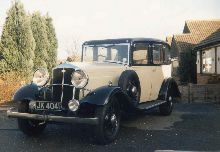 When Austin left Wolseley in the latter part of 1905 a range of vertical-engined cars was introduced and by 1913 Wolseley was Britain's largest indigenous motorcar manufacturer, producing around 3000 vehicles a year.